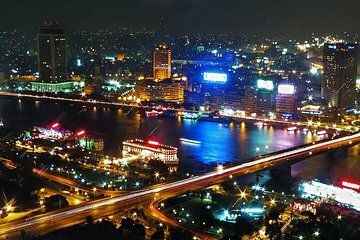 See Cairo from an entirely new perspective during a private Nile River cruise by night. Taking a private tour gives you the flexibility to linger at spots you like the best while you receive the undivided attention of your guide. As well as a belly dancing performance and a traditional tanoura (Egyptian dance) show, your tour includes a buffet dinner and round-trip hotel transfers. It was a nice evening out. Our guide left us be, which was appreciated. The food was okay, but nothing to rave about, and it was a mad rush getting dinner. Very unorganized. The show was also a good time.